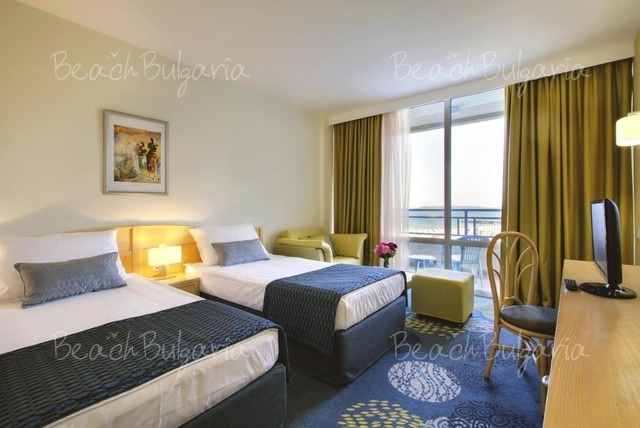 Globus hotel is located 20 m from the beach and 50 m from the centre of Sunny Beach resort. The hotel offers 334 double rooms, 22 studios and 30 1-bedroom apartments. The guestrooms offer balcony, air-conditioner, phone, TV SAT, bathroom with shower and hair-drier, mini bar. The apartments feature bath-tubs in the bathrooms. Daily maid service, laundry, dry cleaning for extra charge are provided. Linen is changed 3 times a week, towels are changed 7 times a week. Towels for the beach are free of charge. 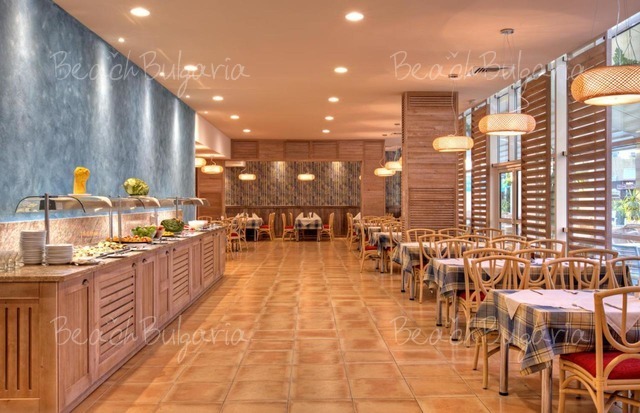 A-la-carte restaurant, 2 main restaurants, pool bar, lobby bar, room service. * The prices are in Euro, per room per night with breakfast and dinner included. 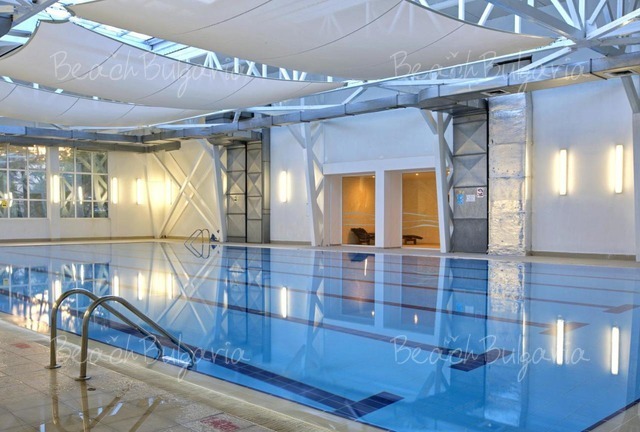 Guests of the hotel can use the swimming pool, parasole and sunbeds for free. * Maximum capacity: Double room - 3 adults or 2 adults + 1 child; Studio: 2 adults + 2 children or 3 adults. * Cancellations can be made free of charge providing details of this are received at least 10 days prior to check-in time on the day of arrival and 14 days during 07 July - 18 August 2019 - cancellations made after this period will incur a fee equivalent to the cost of 2 night's accommodation. The hotel is very noisy with music till the early hours. There are a lot of groups of single males and females out to have a good time. We obviously picked the wrong hotel. Would never recommend it or go back. Air conditioning makes a noise but certainly is not even adequate. The restaurant is too warm and the food and service are rubbish. The staff work hard but there is not enough to provide any kind of of acceptable service. Just came back from my holiday in Hotel Globus, Sunny Beach, spend there 2 weeks. I had wonderful time over there. The hotel is great, good service, it's a bit noisy during the night, but apart from that everything is perfect. I've got a massage from therapist named George, he is really good, makes me feel so relaxed...it was great holiday, I’ve enjoyed! Thank you very much for the good service! Just got home from the Hotel Globus (****), June 2008. Great hotel, very clean. Some staff very good (Christina and Rumi in particular). Facilities good too, food fine although a bit repetitive. Happy hour is 20.00 till dawn and you get 2 for 1 - 2 pints and 2 vodkas cost us £3.50 - cheaper than the tean and coffee! Right on the beach too and close to all resort amenities. Very commercilaised resort now but a good holiday - temp over 30 every day. We went with Balkan Holidays and got a great late deal. If you like resorts, give this a go! We had one week mid september, hotel was very clean and the maides were very helpful. However the food was very poor had to eat out 5/7 nights because the food was inedible. Breakfasts were passable. Overall enjoyed the holiday. Just got back from hol in Sunny Beach, hotel lovely, we had a great room ( a suite) everything clean, maids in every day, didnt't think much of the receptionists, thought they were rude, breakfasts not great ok if you like egg (fried, boiled, scrambled) evening meals were fine quite a good choice, you just had to time it right for going to eat, sometimes there were no tables available and if you leave it too late not much food left, there was one waiter in particular who was very pleasant, always smiling, his name was Danny, some of the other staff could do with taking a few lessons from him. Great location, right by the beach, everything cheap, had a great time and would think about going back to Hotel Globus. 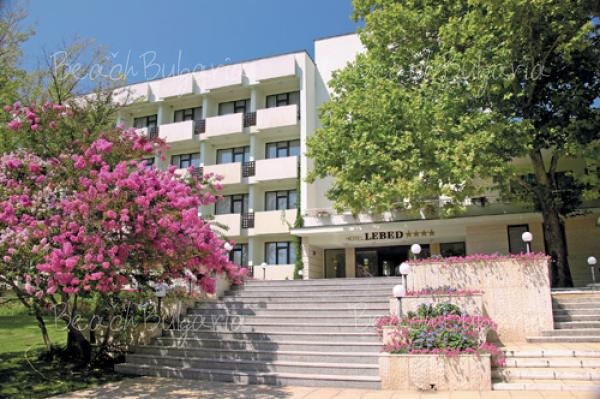 the hotel is really nice, we had a gd time in sunny beach, very annoyin tho the way u have to pay 4 the toilet everywere u go! beach is loverly and alot of nice ppl in bulgaria, altho there can be a few snotty ones. overall brilliant holiday and would recommomend both the hotel and resort! 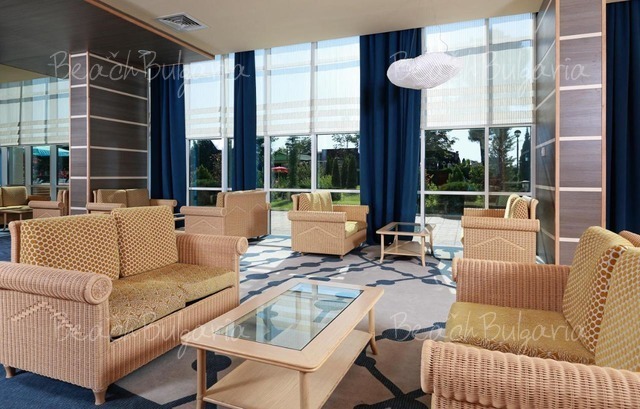 Please, post a comment on Globus Hotel.